I explained in a previous post about how I’m wrestling with wrinkles. For wrinkles on my face, I found AHA facial masks helped minimize those wrinkles. What I didn’t have a solution for until recently is wrinkles in paper decoupage! 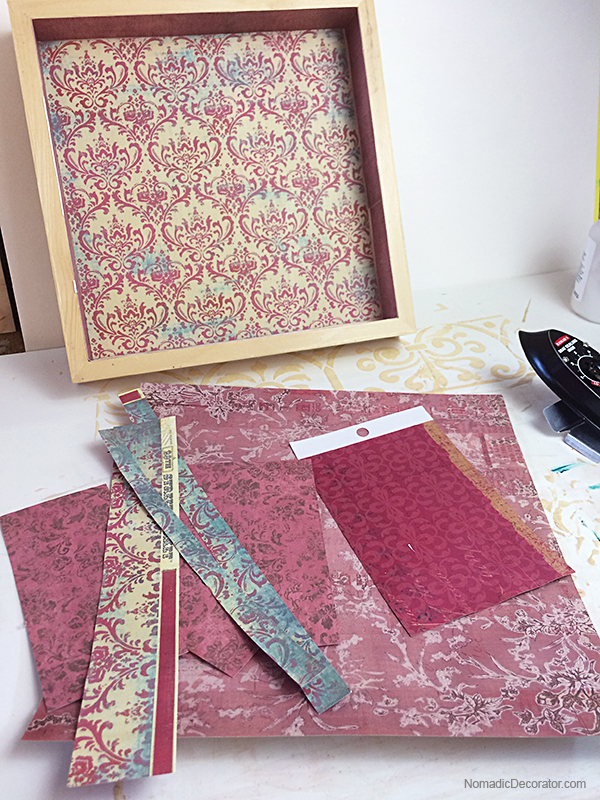 Because this is a DIY/design blog and not a beauty blog, today I’ll talk about solving the wrinkle problem in paper, because decoupaged paper gets wrinkles too. 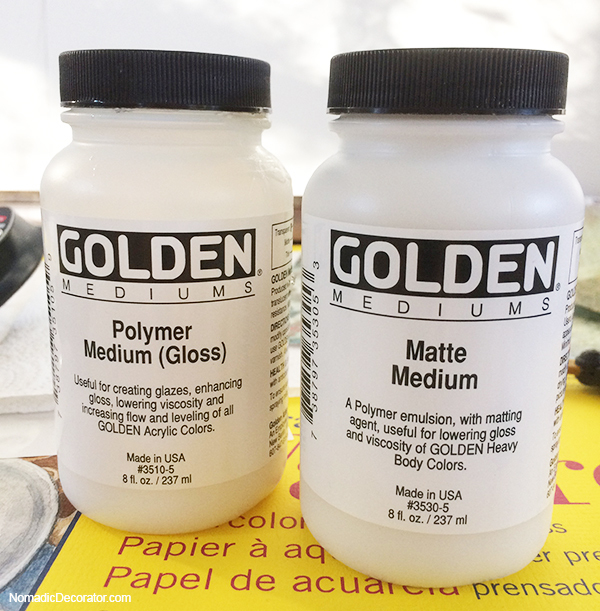 To learn why I recommend Golden Polymer Mediums, see my previous post that explains why you should use Golden Polymer Mediums and not glues like Mod Podge or Aleene’s Tacky Glue. 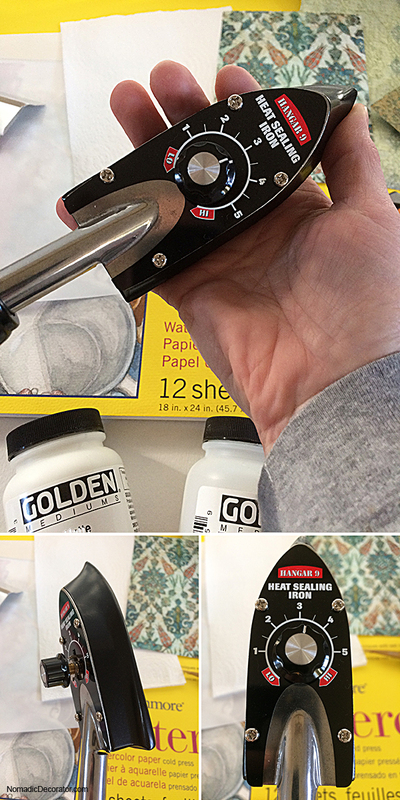 Yes, Golden Polymer Mediums might cost more than Mod Podge or Aleene’s Tacky Glue (see a money-saving tip below). 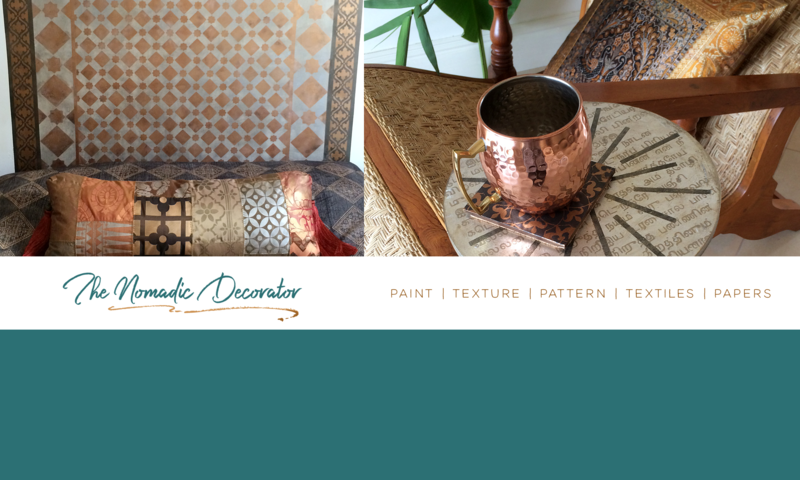 But trust me, if you don’t want wrinkles in your decoupage projects, the money spent on Golden Medium, plus following the steps I share below, is worth it. For years I wrestled with Mod Podge and trying to smooth wrinkles, poke wrinkles, or slash them with an xacto knife and smoosh out the air, etc. etc. etc. None of it worked. Every project got permanent wrinkles. I now follow the COAT – DESIGN – HEAT steps, and the messy wrinkle days are over! The shine is showing where light hits these pictures, but the whole collage is shiny like that. Golden Polymer Medium is a professional artist supply, so you’ll find it at art stores like Blick Art Supply (Gloss and Matte). You can get it on Amazon (Gloss and Matte). I’ve seen it in the art aisle at Michaels. Choose the pieces of paper that you want to use for collage. I usually use colored, patterned scrapbook papers. Using a soft paint brush or foam brush, brush a thin layer of Golden Gloss or Matte Medium over one side of the paper. 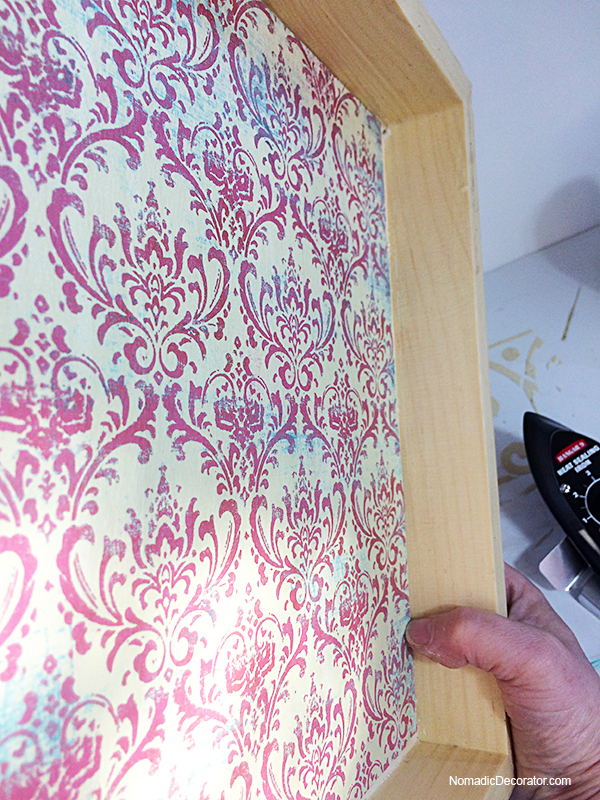 Turn the paper over and brush a thin layer of Golden Gloss or Matte Medium on the other side of the paper. Let the medium dry. Choose a surface you want to adhere the papers to. 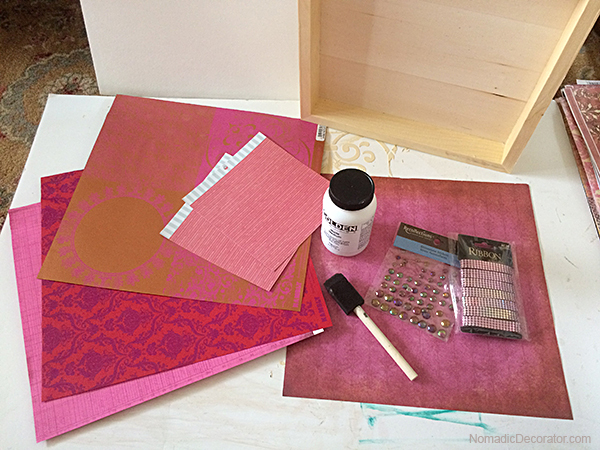 You can use a heavier scrapbook paper as a base. Some collage artists recommend using thick 140 lb watercolor paper. 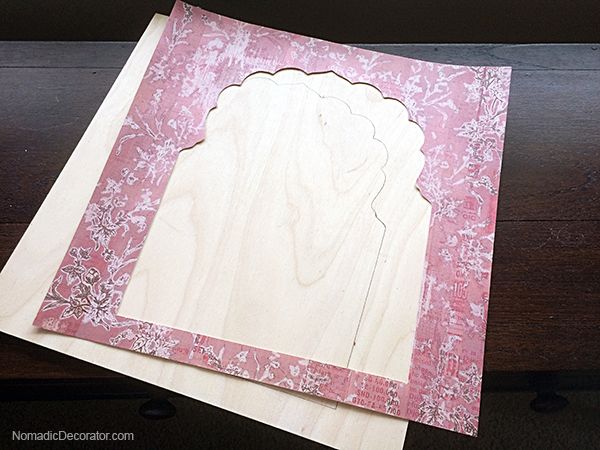 You can also adhere papers to wood boards, canvas (be sure the canvas is stretched very taut), foam core board, etc. 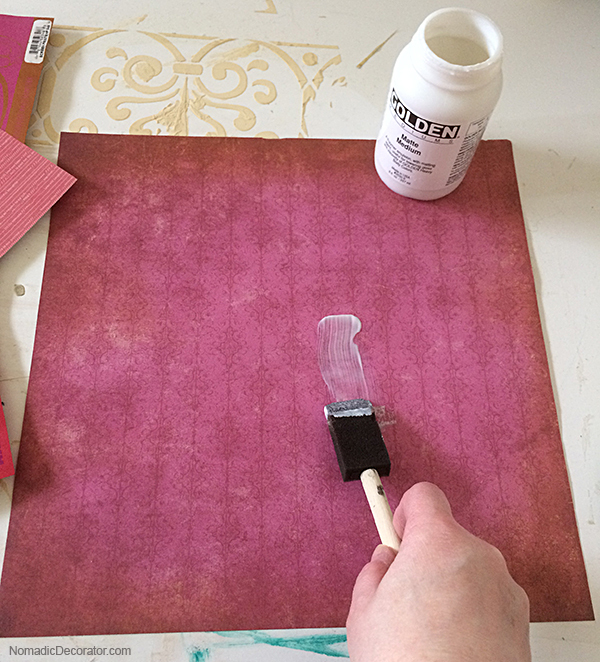 Brush a layer of Golden Gloss or Matte Medium onto the surface you want to adhere the collaged paper to. Let the medium dry. Now it’s time to create your collage! The fun stuff! Arrange the papers into a collage. Cut the papers, rip them. Layer the papers and build up papers on top of each other. 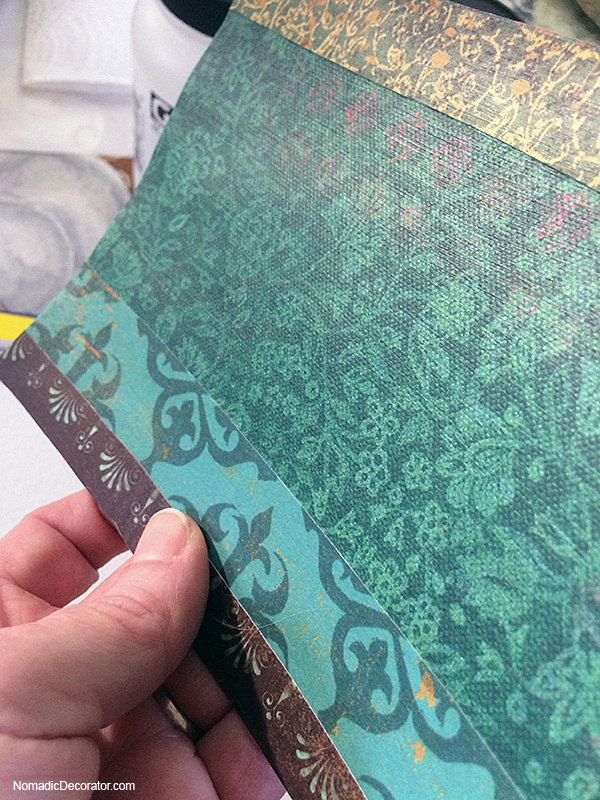 If you coated papers on both sides with Golden Medium, just layer your papers on top of each other — after the next heating step, they’ll all stick together. You can even add other things like string or yarns, lace, etc. Just be sure to coat these things with Golden Medium too, so everything will fuse together in the next step. 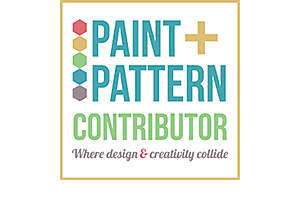 This Design step is all up to you — your time to have fun and be creative! If you don’t want to invest in a heat sealing iron, you could use a household iron, but be careful to test it first at low settings, so you don’t heat it up too hot. 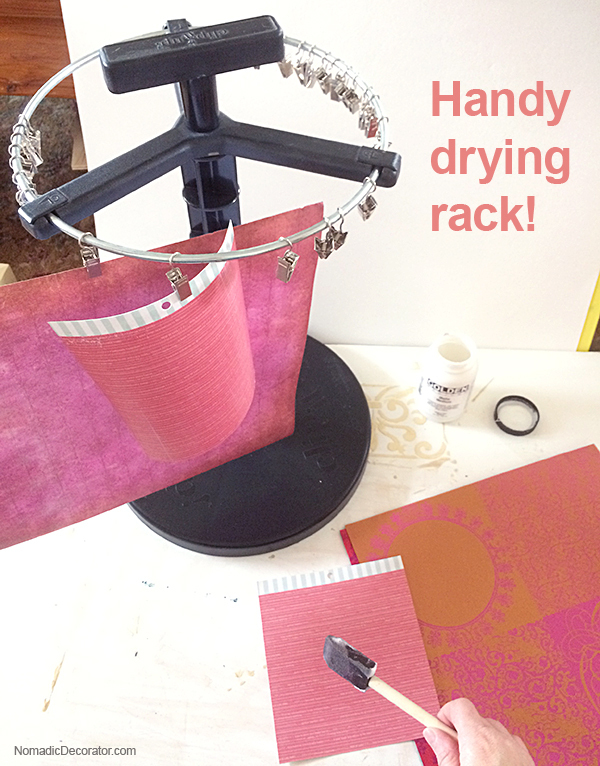 You will also need a special paper between your Medium-coated collage papers and your iron. You don’t want to put your iron directly onto the Medium or it will cause a mess and possible flammable hazard. I used the Release paper from collage artist Jonathan Talbot. Look for silicon and teflon papers that are designed to protect things while heat pressing. The good thing is, the papers are reusable for a long time to stretch your dollars — you can re-use them for years. Here’s some Teflon sheets at Amazon. Plug in a heat sealing iron, also called a “tack iron,” or use a household iron. Lay a release sheet (silicon or teflon sheet) over the paper collage. 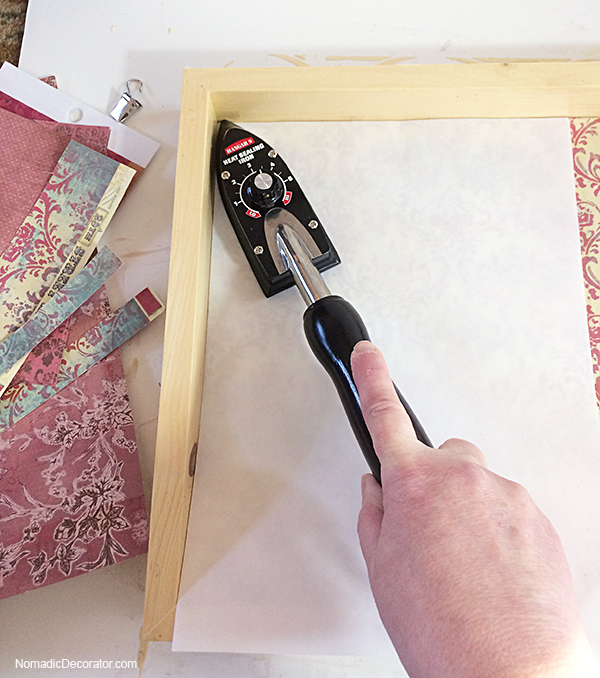 Push the iron lightly over the release sheet, heating all areas of the collage. It doesn’t have to get too hot. I set my tack iron at heat setting 3, the mid-way point, and that’s working fine. Take a look at your collage, check to be sure all papers are adhered. If some areas are still loose, run the iron over those areas. 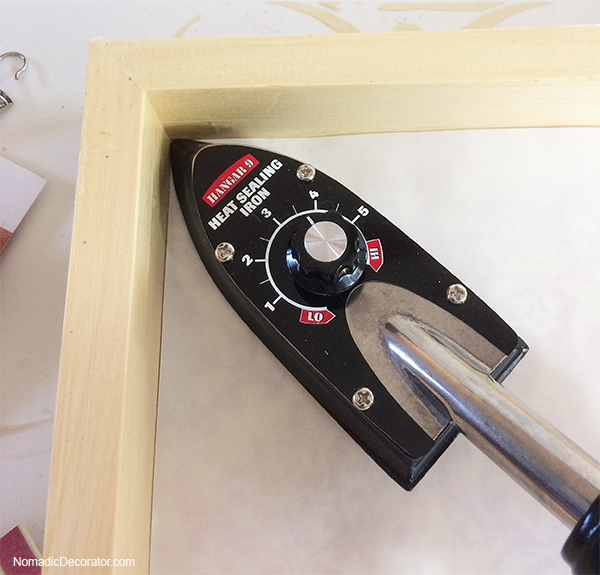 It’s also possible that if you missed applying Medium to some edges, the edges won’t adhere. Simply dab some Medium on areas where it’s missing. Let it dry. Then heat the area with the iron. The final result should be a wrinkle-free collage! Woo hoo! Yay!!! I know it’s hard to see here, but this surface is as smooth as glass! No wrinkles or bubbles anywhere! You might have pieces of paper left over that are coated with dried Medium. You can use these papers later for more collages. But when you store them, separate the Medium-coated papers between pieces non-stick release paper or wax paper. This way, your coated papers won’t get all stuck together. I’ve used 40% and 50% off coupons on Golden supplies at Michaels, which cuts the cost considerably. My local Michaels has both Golden Matte Medium and Golden Polymer Gloss Medium. I do enough decoupage that I buy the 16 ounce size bottle. I will also buy Golden products on sale at Blicks Art Supplies. If they have 40-50% coupon discounts, I am not aware — if they do, someone please tell me! Super cool!!!! You always have a great eye for patterns. Loving this pattern for the tray. Thank you for the video. The ironing part is very helpful, I didnt know about ironing. 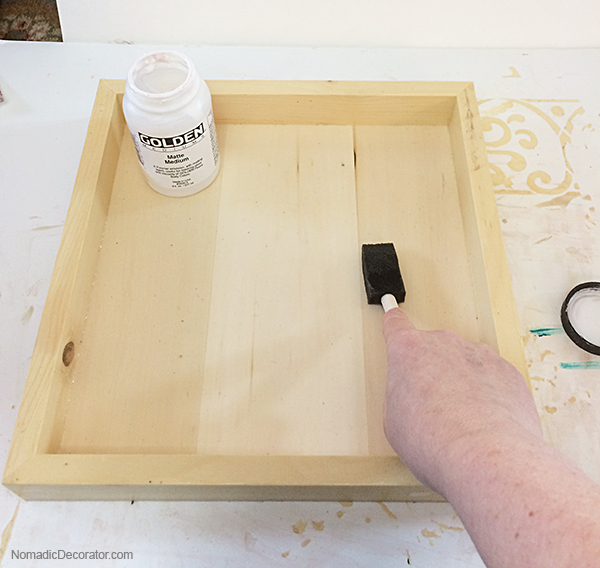 Do you know how to decoupage on glass plates without the paper wrinkling and/or bubbling ? I am very eager to know how to decoupage on glass and have it look very professional looking. Hi. I am researching doing this on a concrete floor and sealing it afterward with a tough varnish which will withstand people and dogs walking on it. Any thoughts? Thanks. 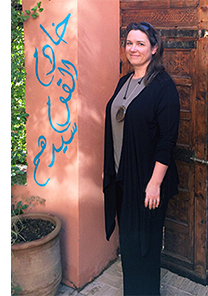 Great blog. Hi Ruth, that’s an innovative idea! Love it! I would suggest researching professional sealers for floor paint. They are made for durability. One thing to consider is, if you don’t want wrinkles in the paper, the first coat of sealer on the paper should have very low water content. 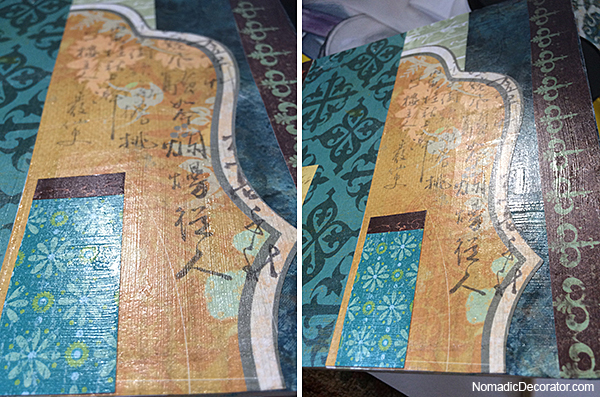 I think this is why Golden Medium works well for small decoupage projects – low water. 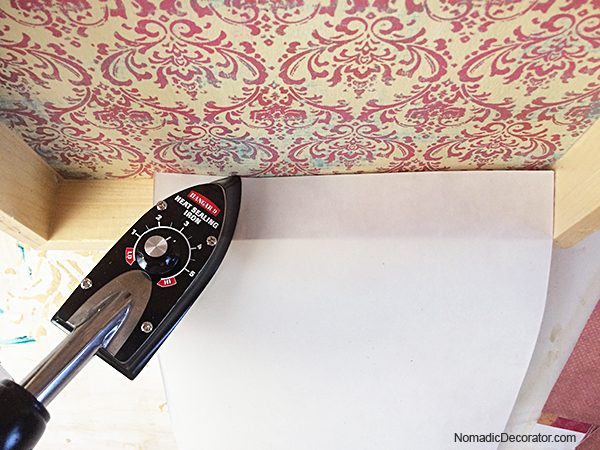 When decoupaging, glues & sealers with too much water will make the paper wrinkle. So, you might need to use two different sealers on top of the paper — one to seal the paper, and another for durability. And of course test the sealers on the papers before doing the floor. I’d love to see what you do!